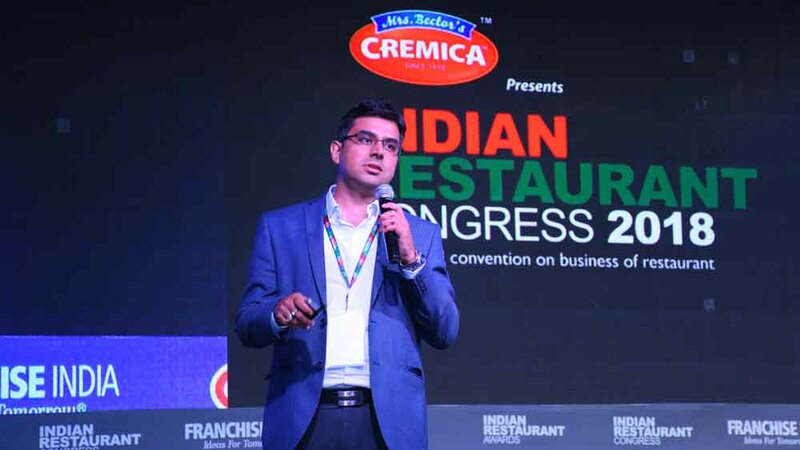 ﻿ "Serving Brands from Bean to Cup"
"Serving Brands from Bean to Cup"
In an interview with Restaurant India, at the Indian Restaurant Congress 2018, Amit Malakar, President & Business Head, Sical Supply Chain Solutions shares the secret of running a successful business by providing the right solutions to the brands. Founded in 1955 and with revenues in excess of Rs. 800 Cr, Sical Supply Chain Solutions is India’s leading integrated logistics solutions provider with over five decades of experience in providing end to end logistics solutions. In 2011 Sical was acquired by Coffee Day group, with interests ranging from coffee retail business, stake holdings in leading IT and embedded technology companies, to technology parks and SEZs and hospitality. We are focused in providing supply chain services to our consumers in the retail segment and also to the restaurants, cafes. We are helping brands to serve from bean to cup. Restaurants and cafes face innumerable challenges related to supply chain. What solutions do you provide to help them grow? When we talk about supply chain in cafes, we only think of food but then most importantly, supply chain encompasses everything you see in a restaurant, right from the setup to the furnitures, and most importantly to the food getting delivered at the right time and right place to give a complete seamless experience. As far as procurement is concerned, it should be at a right price, at the right time and stored at the right place. How do you bridge the gap within the sector? We have been developing the solutions for Café Coffee Day, and have established ourselves in this space, with 1200 cities in the country which is by far the largest footprint by any service provider. We are bridging the gap in terms of geography, so not just few cities; we are catering pan India. We understand the business, so we know what the food industry needs. When you make a delivery to a café, be it peak hours or off hours, we absolutely make sure that we are non intrusive to their business. How do you manage the inventory in the business? Major part of the inventory is food which is perishable, as they have a shelf life. On one hand, some amount of it can be increased by putting it in the freezer while some amount has to be consumed the same day. We keep track of inventory of different shelf lives in our system. With technology we are keeping track of when, where and how much to physically deliver and store. How brands can maintain their value by cutting the costs with the Supply Chain? For brands, it is the value which they have created and the quality which they have promised to their customers. Some of these brands are not looking at pure cost cutting. They are looking at premium quality being delivered in the right manner. Typically, in the industry, there is a lot of wastage and to make sure that the food is fresh and wasted as little as possible helps in cutting the cost but not quality.